"Soundscapes," acrylic on canvas, 24 x 30, 2018. Soundscapes was a painting created in a sound bowl meditation session. The simple shapes and color fades were what I was feeling as the painting came together. I felt calm and relaxed and this abstraction was the result. 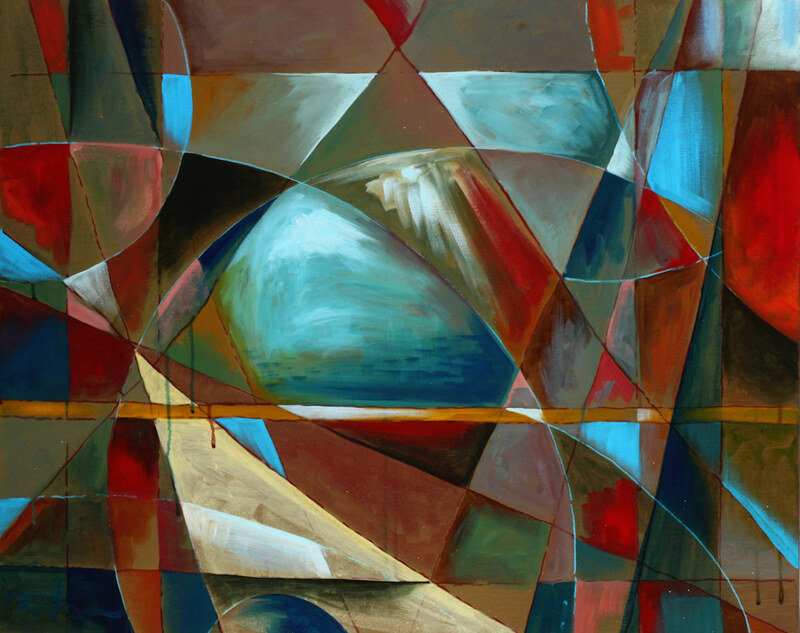 Abstract "Soundscapes" painting as fine art reproduction or original artwork by Southern California Artist, Taylor Gallegos.